This article is 1968 days old. It’s called “Black Animal Syndrome” and it is a problem that plagues Humane Societies across the nation. 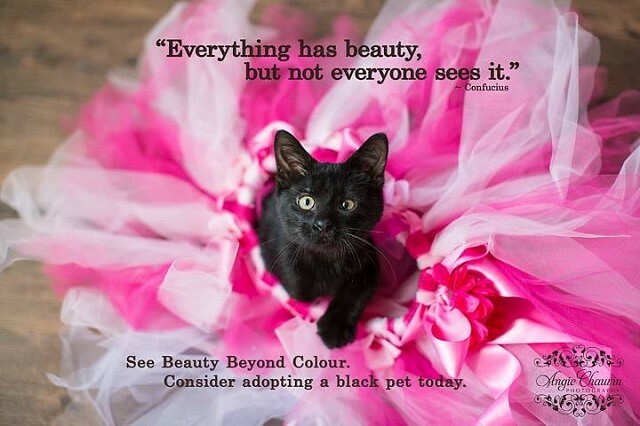 Black animals have a more difficult time finding their forever homes simply because of their colour. Whether it is due to silly superstition, or because they lack the interesting patterns and colours of other available animals; black cats and dogs can sit waiting for weeks while their lighter coloured friends go home within days. But the Windsor-Essex Humane Society is trying to change that. This week, on Black Friday, the Humane Society hopes to see black animals become the most popular dogs, cats, and rabbits in their adoption centre. All black animals – any with the majority of their fur solid black, will have their adoption fee reduced by 60%. Organizers say the Black Friday special is one day only, during adoption hours from 11am to 8pm. Adoptable animals can be viewed online at www.windsorhumane.org. Discounts cannot be combined and do not apply to previously adopted animals.